"Josh is a great all-around previs shot creator. He is a good generalist, with specialties in mocap, animation and storyboarding. In addition to his skills as an artist, he's a great collaborator and asks the right questions to get the desired result. I look forward to our next opportunity to work together again." - Nick Markel, Co-Owner and Lead Artist at The Third Floor, inc.
"I can say that whilst I was co-supervisor on Marvel's "Avengers" previs, Josh Lange was one of my 'go to' guys to knock out some of the more demanding animation scenes. He comes from a strong background, having worked on the highly acclaimed Red Dead Redemption game, and this is obvious in his previs work. I would strongly recommend Josh as a most competent and hard working animator. A plus to any animation team." - Mark Austin, Head of Animation at The Third Floor, inc. The Avengers was my second feature film. A dream project after a childhood full of drawing and reading Marvel comics, I was able to animate every Avenger by the end of the project, and it felt like playing with the best toys you could imagine. I love the idea that other previs and visual effects artists get to play with them too. The crew on this was phenomenal, and so was working at the original Marvel Films offices at Raleigh Studios in Manhattan Beach. Congratulations to everyone who worked on it, and kudos to Roger Liu, whose work on the Manhattan battle earned him a VES Award nomination for Outstanding Virtual Cinematography in a Live Action Feature Film. 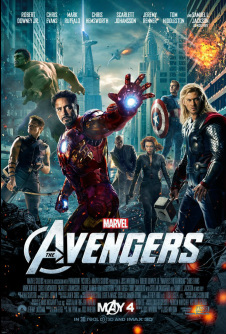 The Avengers went on to become the fourth-highest grossing feature film of all time, and received an Academy Award nomination for "Best Visual Effects." The Third Floor, inc. credits for Marvel's The Avengers.